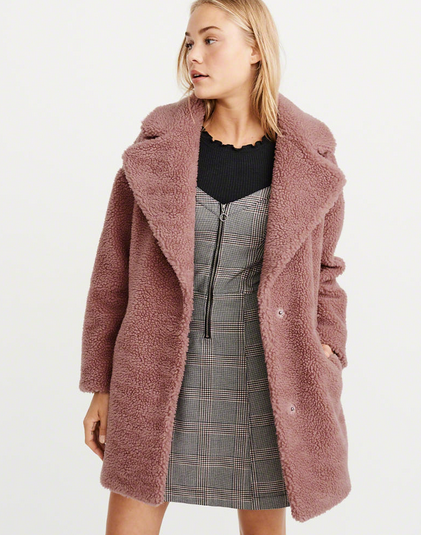 Finding the perfect coat is the goal, right? You don’t want one that you *kinda* like or one that doesn’t fit too well. You want a winter coat that is going to be perfect for all your needs – fashion wise and function wise. 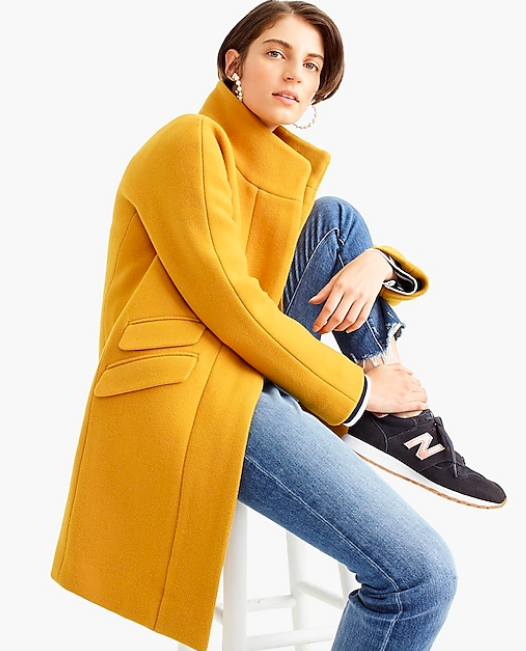 You can find the perfect winter coat for winter now and I suggest looking now because you want to make sure you’re getting the best selections. I can’t tell you how many times I’ve waited till DEC and then the coats selections that I want are out of stock. 1. Beautiful Patterns – There are so many different patterns right now trending – leopard, plaid, checkered, color blocking, etc. The patterns are bold and beautiful. 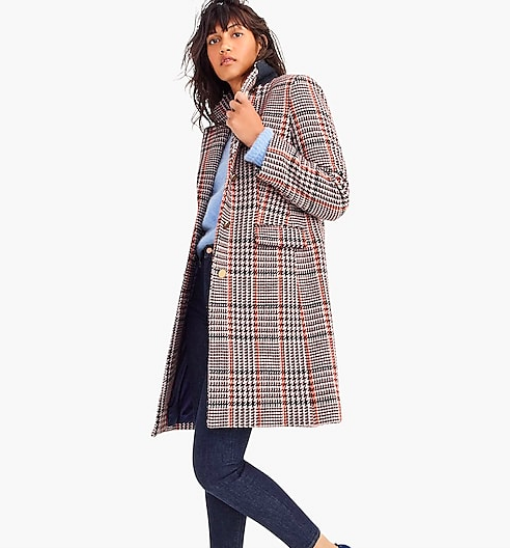 How adore is this J.Crew Topcoat? 2. Textures – Oh, man… textures are HOT right now! From super soft sherpa or fleece or faux fur, etc. There’s something for everyone! How much fun is this FUZZY BEAR from Abercrombie? 3. Bold Colors – HOLLER FOR SOME COLOR!! Yellows! Reds! Oranges! Pinks! Super beautiful colors!! And check out this fabulous YELLOW from J.Crew! 1. Invest in Luxury – I’m not talking a $5000 coat for the winter, if that’s what you want – GREAT… but I’m talking a price tag that you can afford and won’t break you. You’re investing in luxury. You will be wearing this coat a lot, so you want to make sure it’s good quality. 2. Longevity – I can’t tell you how many winter coats in my closet that I’ve had for years and years and years. Make sure you are also figuring in that you will wear this for many years to come, too! 3. Can you live without it? – I’m not joking. Do you love it that much were you can’t walk away? 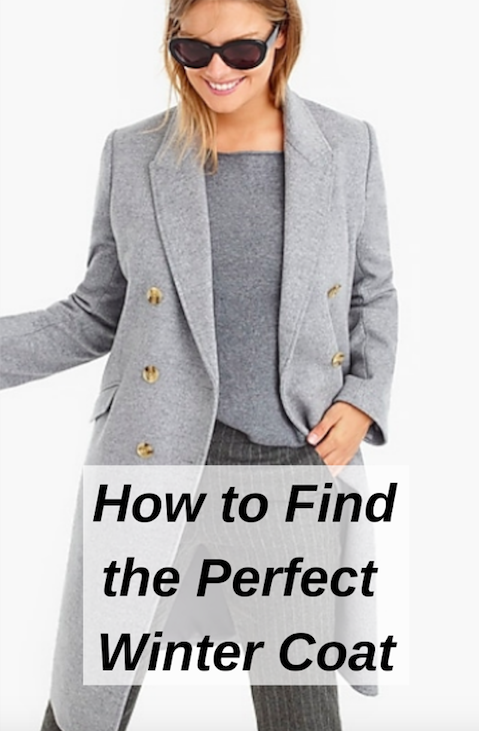 Now let’s talk FUNCTION – How to Find the Perfect Winter Coat!! Answers these questions to yourself, these will really help you target in on what you need from a winter coat. I’m BIG on making sure your winter coat is the best it can be. Not every person requires or needs the same kind of winter coat! Obviously if you’re from L.A., you don’t need the same coat as someone from Maine! 1. Where will you be wearing the winter coat? 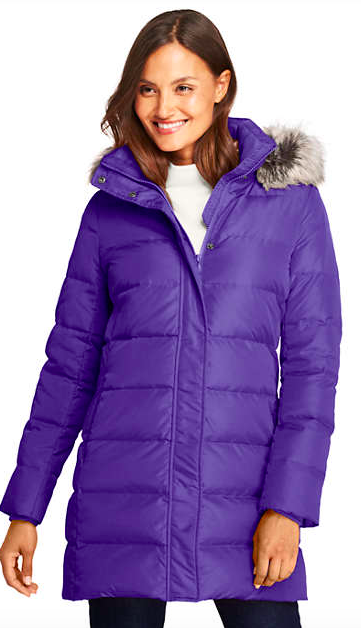 Do you live in a climate that requires layers and a really warm winter coat? 2. 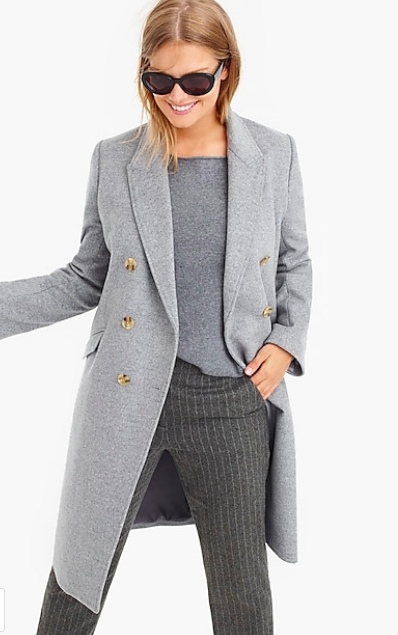 Is it the kind of winter coat that you need to get you really only from car to your office? 3. Are you a City girl or a Suburbs girl? 1. If you’re stuck on what color to purchase – the colors: black / gray / brown – never go out of style! Invest in these colors!! 2. If you’re a cold weather girl (New England I’m calling your name!) go up a size with a winter coat because you can layer it so much better! If you just use your regular sizing, it won’t work well with bulky sweaters. 3. Always make sure you put your winter coats in hangers to keep their shape!! VERY important!! And always DRY CLEAN!! Don’t try to wash it yourself to save a few bucks!! Enjoy this additional read from me on 101 Things To Do in the Winter!! Great tips. I learned a lot from this article. I looking for a new coat, this is helpful! I love my JCrew wool parka -such a classic style! 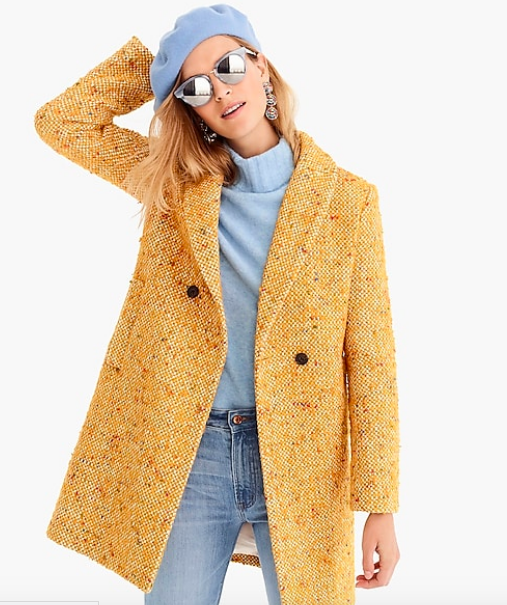 The yellow one from J.Crew is my favorite! But they are all really nice.